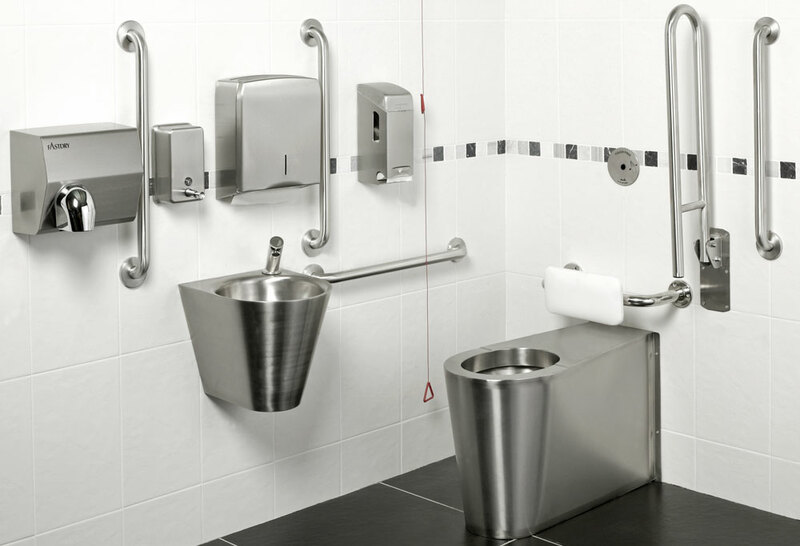 Our Amourlight Stainless Steel Doc M pack, back-to-wall version with concaled cistern and equipped with anti-vandal no-touch flush control and infrafed tap. 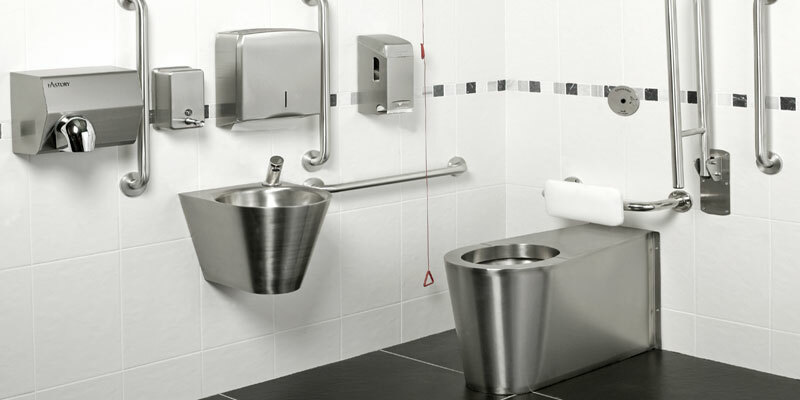 The HL Armourlight stainless steel Doc M pack is a heavy duty piece of equipment suitable for use in vandal prone areas, high traffic municipal areas & nightclubs. 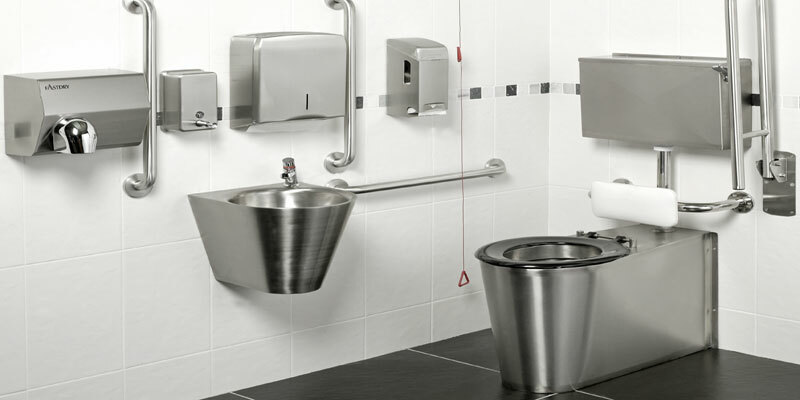 Available with exposed or concealed cistern, manual & auto controls. 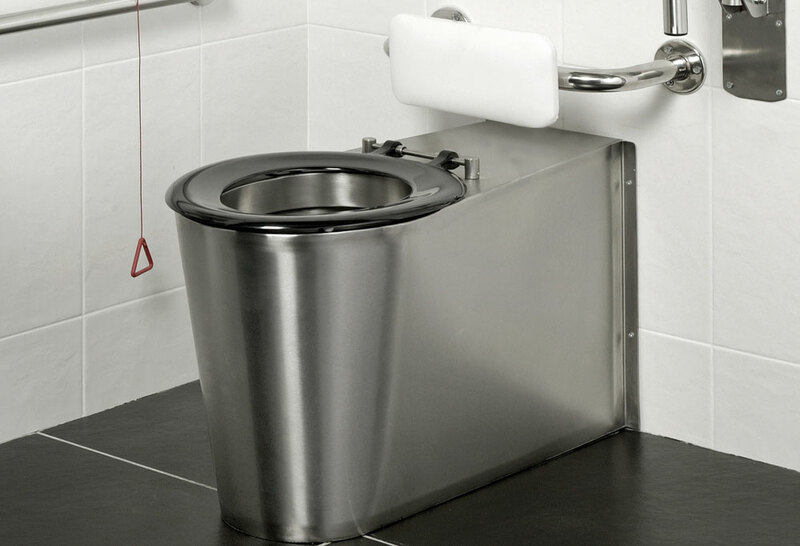 The stainless steel DDA toilet is available with or without security seat or can be fitted with seat pads. 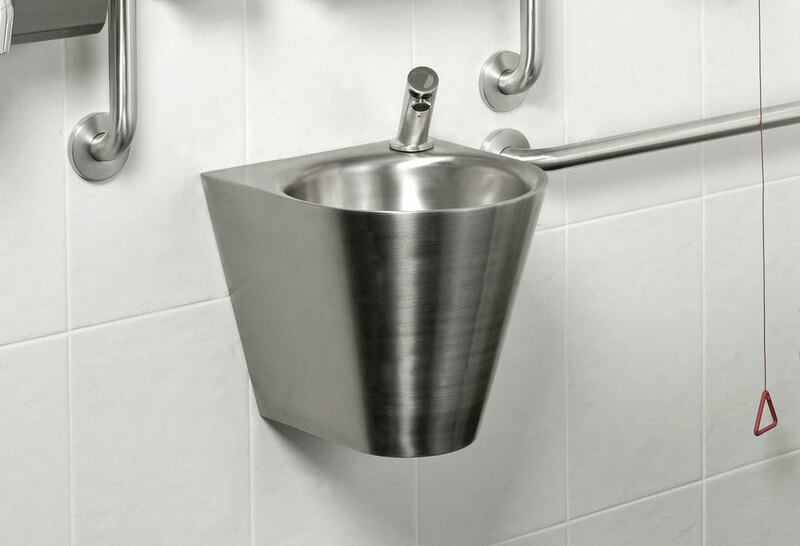 The vandal resistant infrared tap will detect if the sensor has been tampered with and automatically shut off to prevent water loss and damage to property.